The workers in my ecosystem are helping to create better soil, some pollinating the plants, while some controlling other insects and plant pests. A few days have passed with very hot humid summer temperatures and signs of no rain in sight. I ventured into my garden to see how it was coping under such intense temperatures. With camera in hand I was able to capture some of the workers doing their jobs. 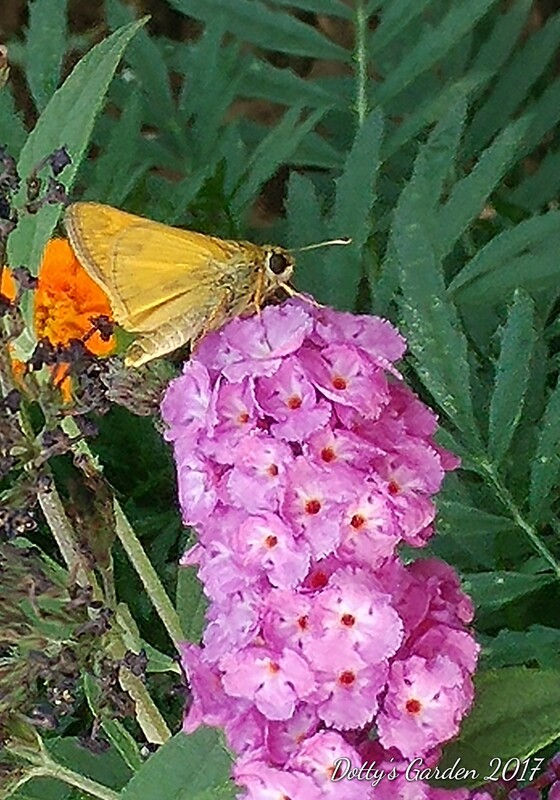 This spectacular male skipper enjoys the sunny environments of my garden and partakes of its nectar sources. 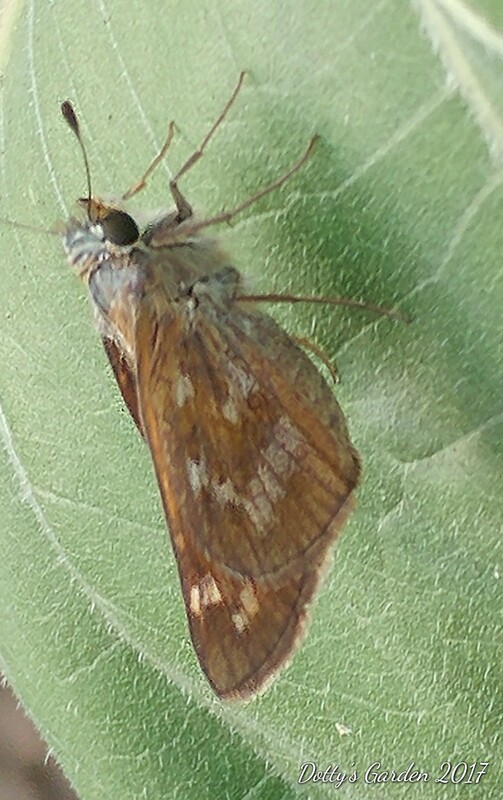 Below is the female Sachem (Atalopedes campestris) skipper on a sunflower leaf nearby. Resembles a cucumber beetle but looks different in color. 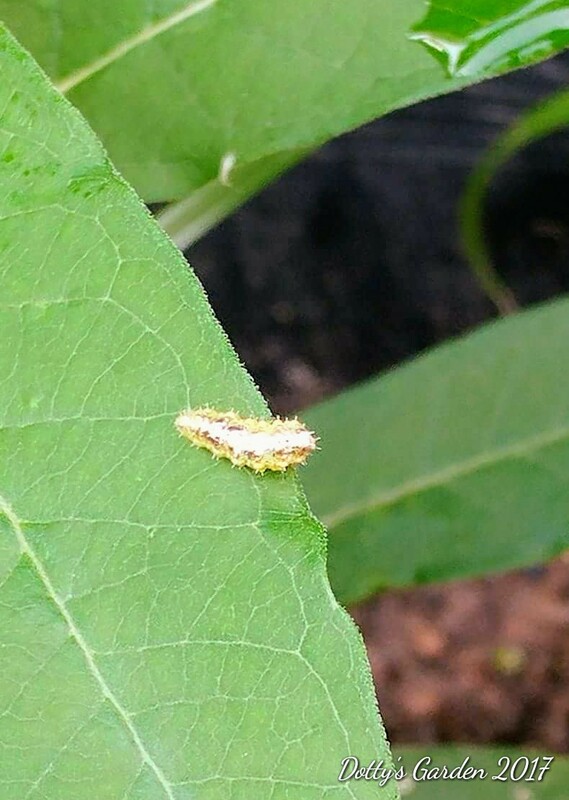 I asked the bug experts and someone says it was Disonycha pensylvanica. I will definitely have to research this one. According to the bug experts this beetle below is a Bean Leaf Beetle – Cerotoma trifurcata. 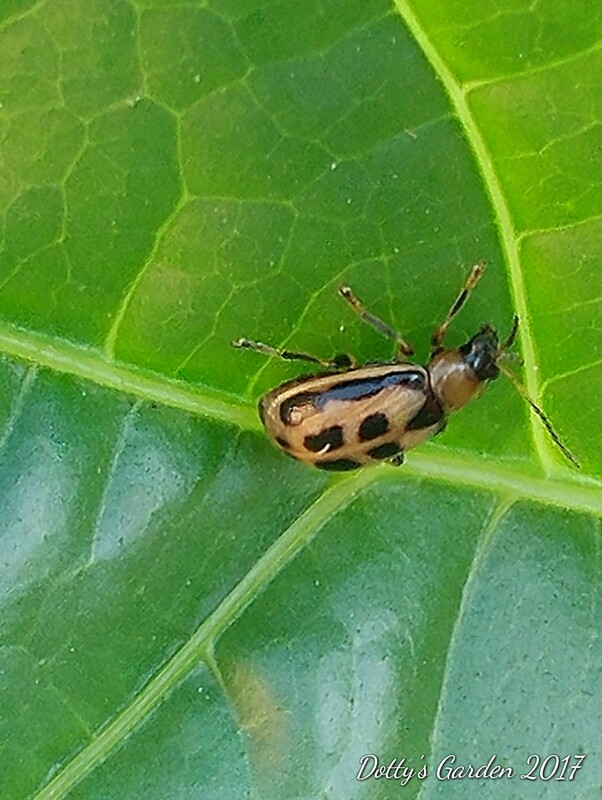 Another researcher says it was Flea Leaf Beetle – Kuschelina petaurista. Which is it? Both pictures look identical. What’s the difference? Inquiring minds! A fly will always be a fly to me and never before have I taken the time to consider the many species that might exist. 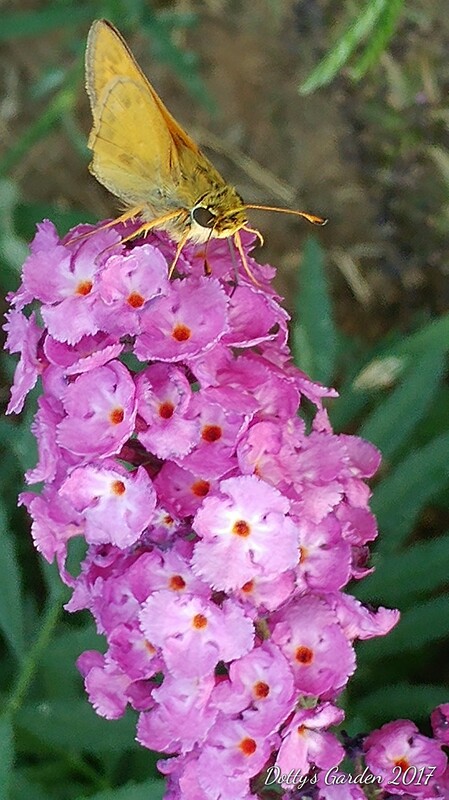 However, since I am studying my garden ecosystem I decided to take time out to identify some of the bugs found or seen visiting my garden. 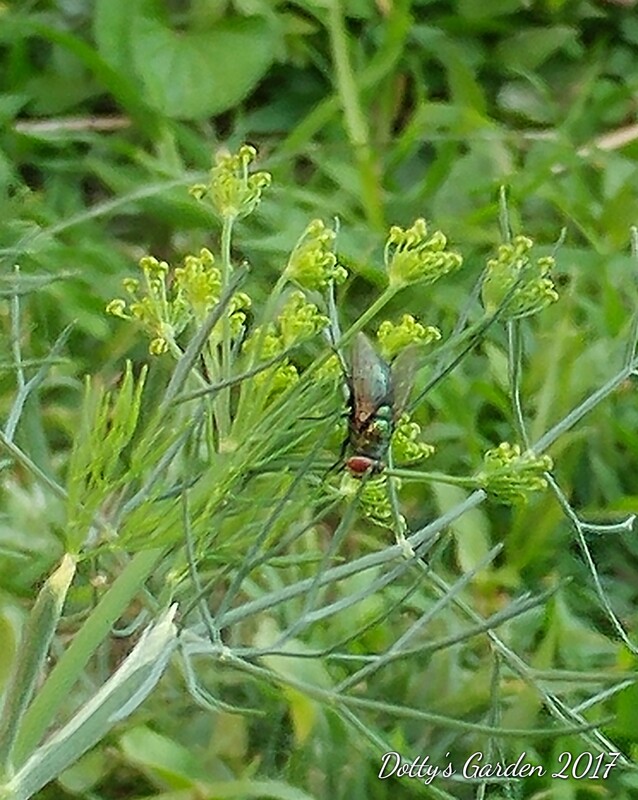 Could this be a Blow Fly from the Calliphoridae family? Let’s ask the expert and see what they got to say. One bug expert says it appears to be a bottle fly. When I researched I came across a blow fly that looks similar. Was not able to determine if a bottle and blow fly was the same species. 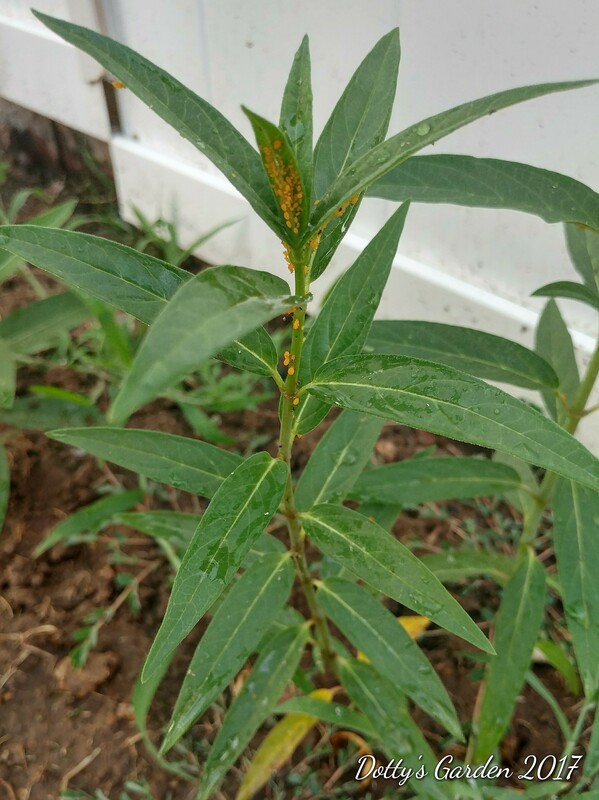 My milkweed have become inundated with aphids. I have been crushing them between my fingers but they keep coming back. A few weeks ago I tried a more tedious approach using cotton balls dipped in isopropyl (rubbing) alcohol. This however, can be detrimental to monarch’s eggs and larvae and I needed to take a more natural approach. I have refrained from this tedious approach as I want to attract monarchs to my garden. I will continue to crush them between fingers until I have the right garden visitors to take over. Calling in the ladybugs, and lacewings to help. The encouragement of ladybugs, birds, and other good guys to my garden will certainly help in my ecosystem. Came across this hoverfly lavae, which means the hoverflies are here. 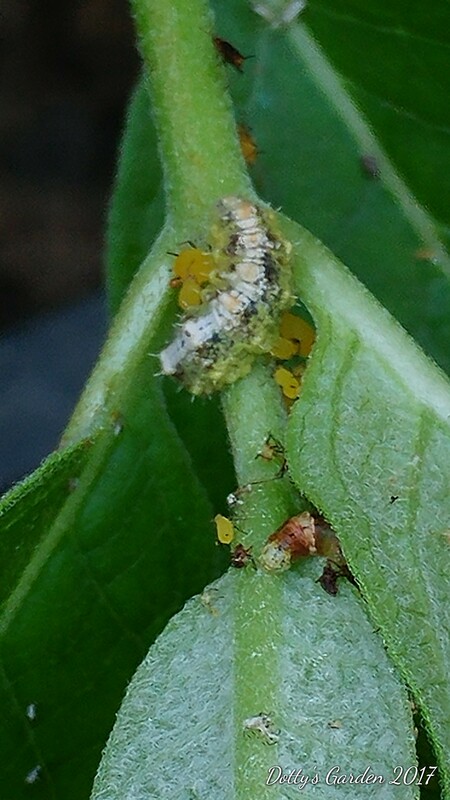 This aphid eating machine was moving over the aphids like a suction vacuum. In a few days this fellow will eventually mature into an adult hoverfly. The adult hoverfly feeds primarily on flower nectar, and help pollinate some crops. Good visitors to entertain in the garden. 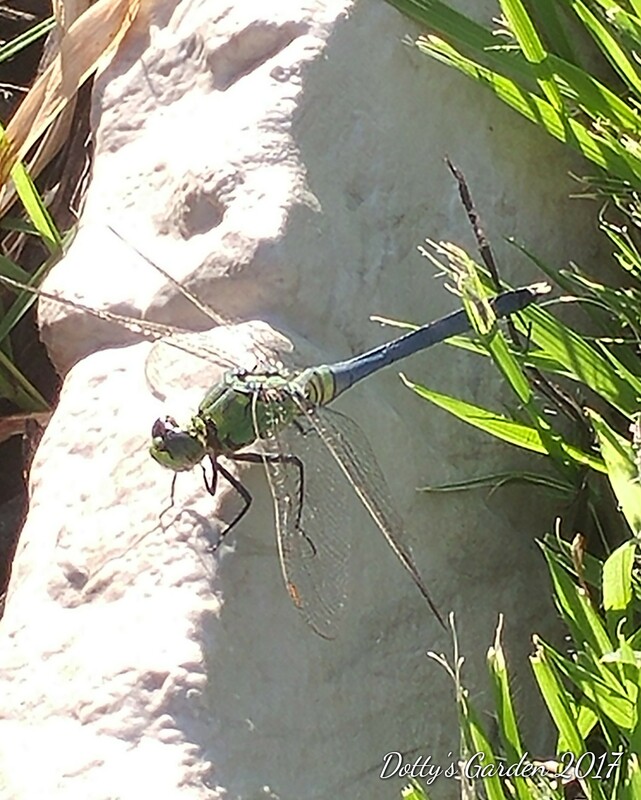 A Green Darner (Anax junius) from the Aeshnidae family with his outstretched transparent wings resting on the garden edge.